Do you ever feel misunderstood? Well, the Desert Blonde Tarantula sure does. 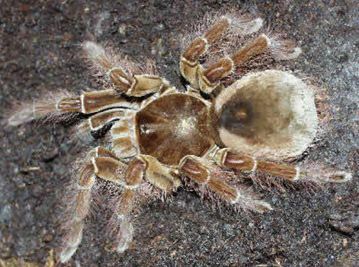 Considered a relatively docile creature, and having venom so weak it\’s harmless to humans, the Desert Blonde Tarantula is hardly anything to fear. 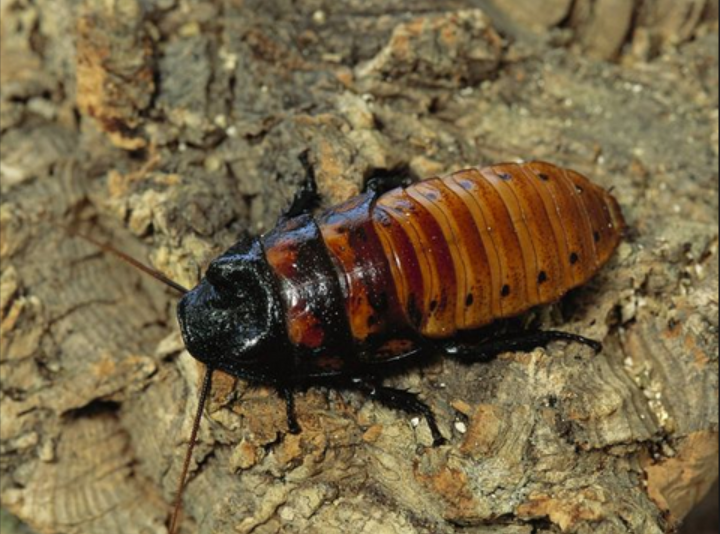 Soft blond hair covers the females, while males are found covered in black. 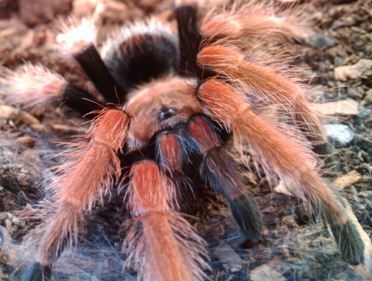 Female tarantulas have larger, stockier bodies than males, and they also have hairier legsâ€¦how attractive! 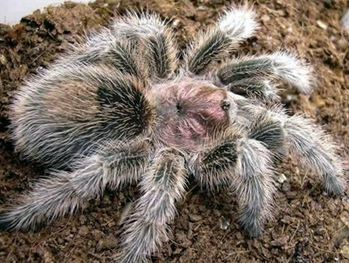 The cephalothorax and the abdomen, the two main body parts, along with eight legs, and two pedipalps, make up a tarantula. The pedipalps, used to catch and transport their prey, are located at the front of the cephalothorax, the anterior part of their body which includes their head. 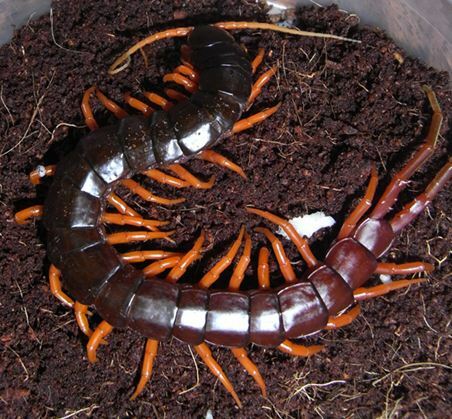 Their mouth and fangs are on the underside. 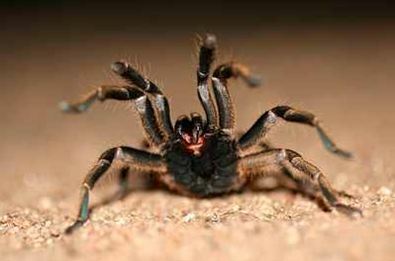 Living as long as 24 years, female tarantulas live twice as long as males. 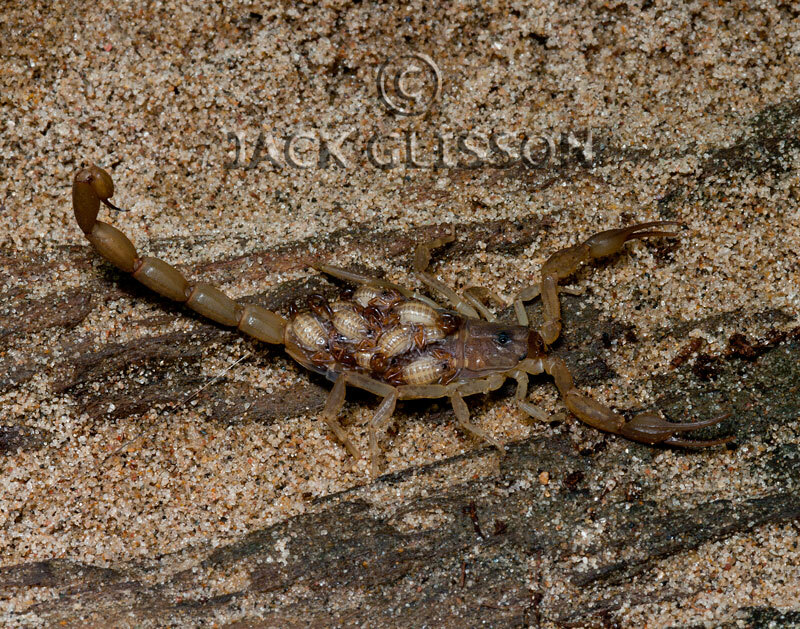 Males mate only once, often dying shortly after, and sometimes at the mercy of the female. 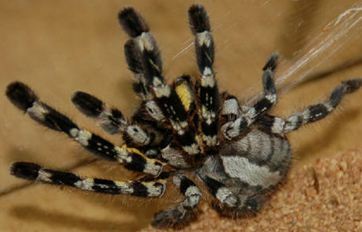 Residing in the dry, open areas of the southwest, the Desert Blonde Tarantula is partial to the state of Arizona, as well as Mexico. 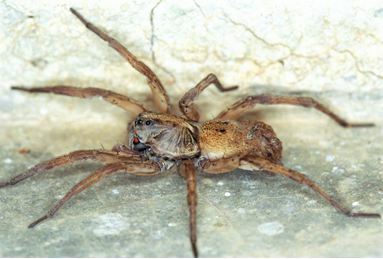 These spiders burrow 8 to 12 inches into the dessert ground, line it with silk webbing, and call it home. 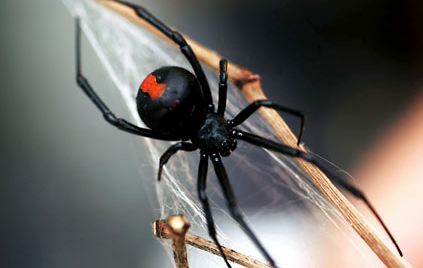 The silk webbing, believe it or not, actually prevents their burrow from caving in. 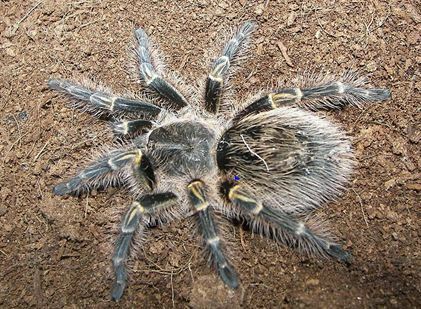 Tarantulas are very sensitive to vibrations on the ground that may indicate the presence of prey or danger. 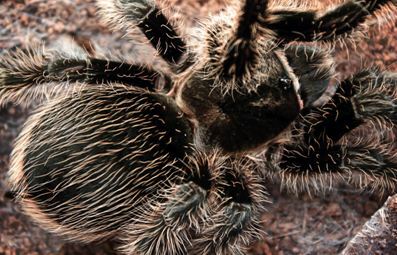 Equipped with urticating hairs on their abdomens, tarantulas can release these hairs, causing the eyes and noses of predators to burn and itch. 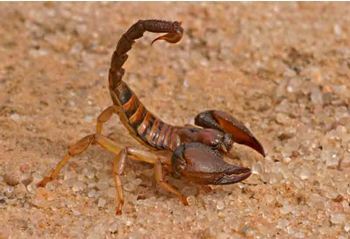 Now, while their venom isn\’t harmful to humans, its bite will overcome most insects, and even some small rodents. 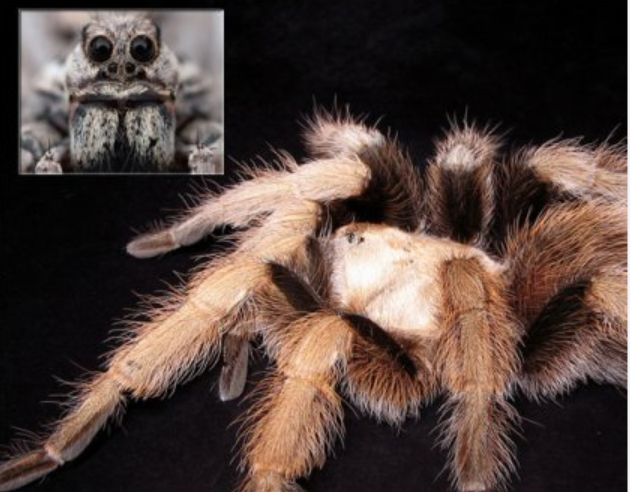 Desert Blonde Tarantulas are nocturnal hunters, with a diet consisting mostly of grasshoppers, beetles, other small spiders, and even small lizards. 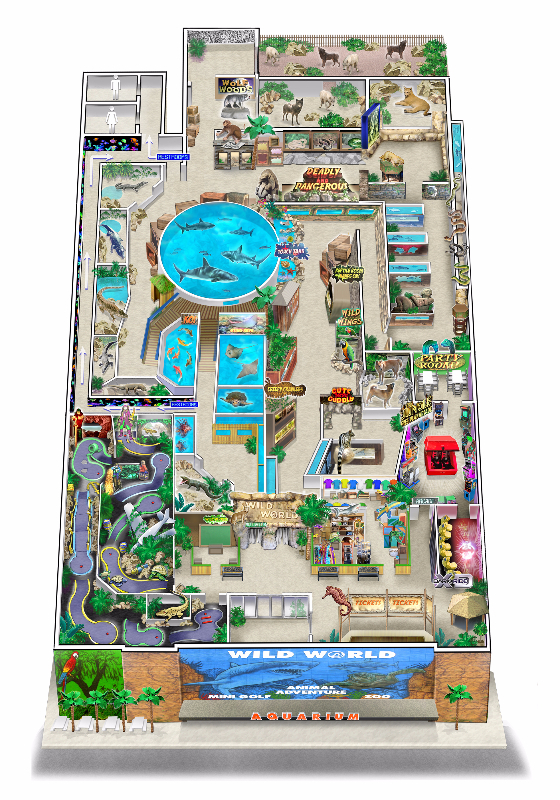 What\’s the Desert Blonde Tarantula\’s worst nightmare? 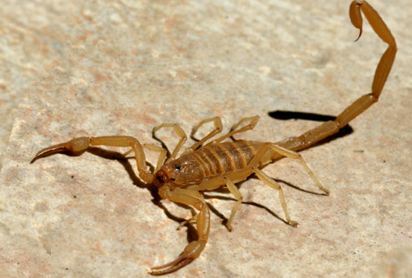 Yup, you guessed itâ€¦the Tarantula Hawk. 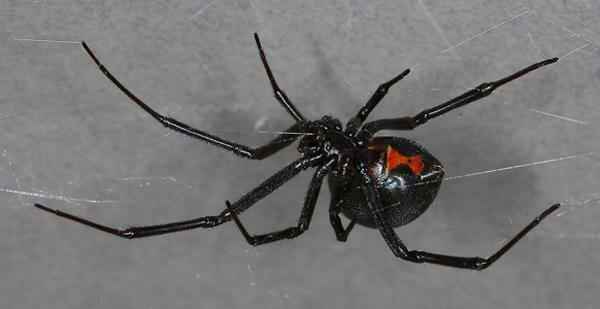 A large, black wasp with orange wings, the Tarantula Hawk stings the spider, causing paralysis. 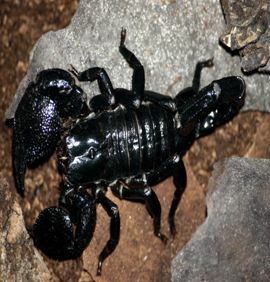 The predator then drags the tarantula away from its burrow, lays an egg on it, covers it up, and when the larvae hatches, it feeds on the paralyzed tarantula. 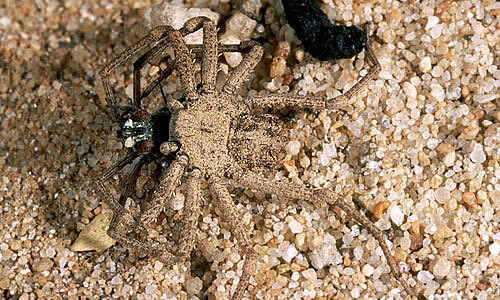 Other predators the Desert Blonde Tarantula must be wary of include lizards, snakes, spider-eating birds, coyotes, and foxes.